A good coffee is important and therefore choosing the right brewer is key to a perfect cup of coffee. 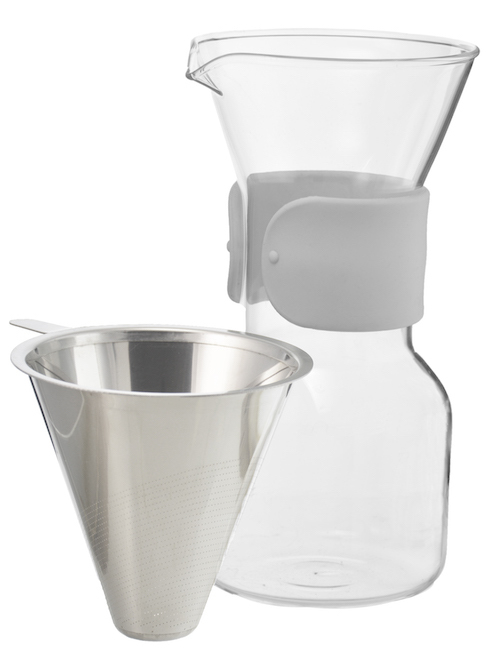 The GROSCHE Seattle Pour Over Coffee Maker is unique in its design with its ultra-fine permanent stainless steel filter and protection grip. 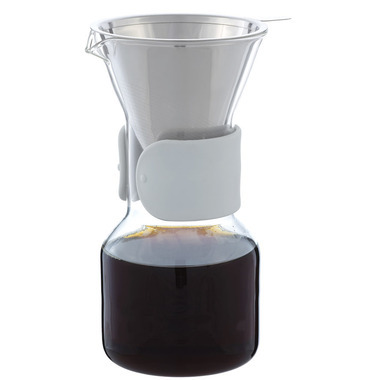 Brew the most delicious coffee with this pour over coffee maker! Quality is not great. Glass is very thin and I can see it breaking in the future. Metal filter allows sludge to filter through. I have to use this with. Melita #2 filters. I absolutely love this coffee maker however the metal part is coming apart already. Makes a great cup of coffee - love that the filter is reusable and I don't have to use a paper filter. Exactly what I was looking for! I really love this coffee maker, because it is super easy to use and makes great tasting coffee. You just have to find yourself your favorite coffee beans or coffee with a more coarse grind, because anything too fine will plug up the mesh. Now that I have this coffee maker, I have gotten myself a burr grinder and coffee beans, which I never had before. 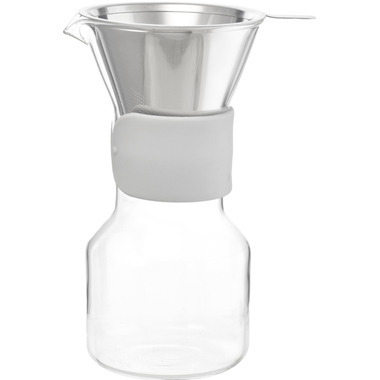 Pour over coffee is one of the best ways to make it and this coffee maker does a very fine job of it!